Life has been busy, and I have been out of pocket for a few days, so just now, I went through my photos on my computer, to remember what has been going on in my life lately. 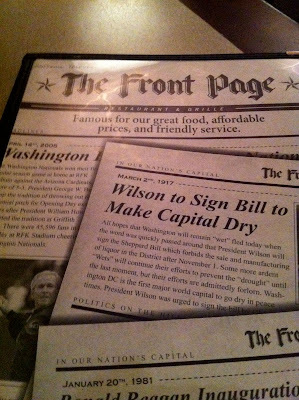 This is how I remember things, because otherwise, the days just swallow themselves up, and life zooms by. By looking back at my photos, I can remember things I wanted to show/tell you. 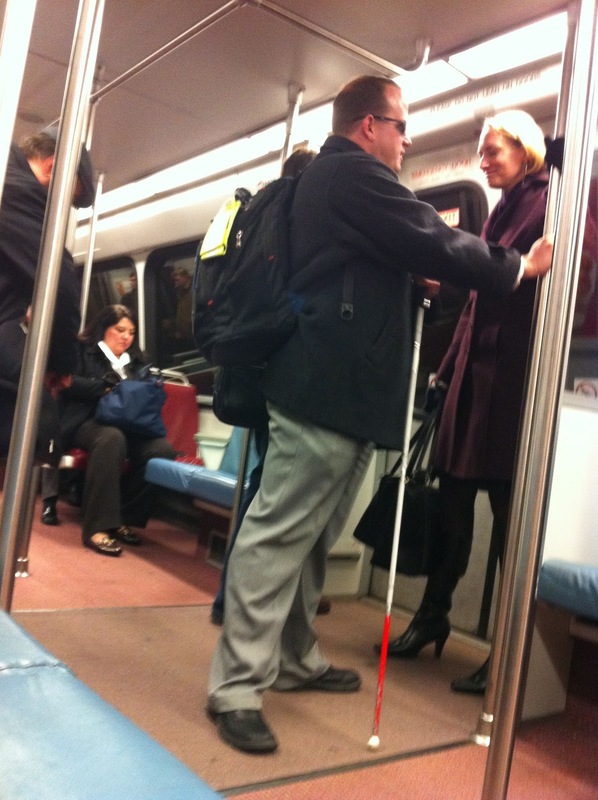 Like this blind guy I saw on the metro, hitting on a tall, skinny, blonde girl. I was so intrigued, I muted my iPod and listened in. He was pretty smooth, and for the record - he DID end up getting this girl's e-mail address. I thought it was interesting that even a BLIND guy went right for a tall, skinny blonde. My sister said they (men) can probably smell hotness. Great. 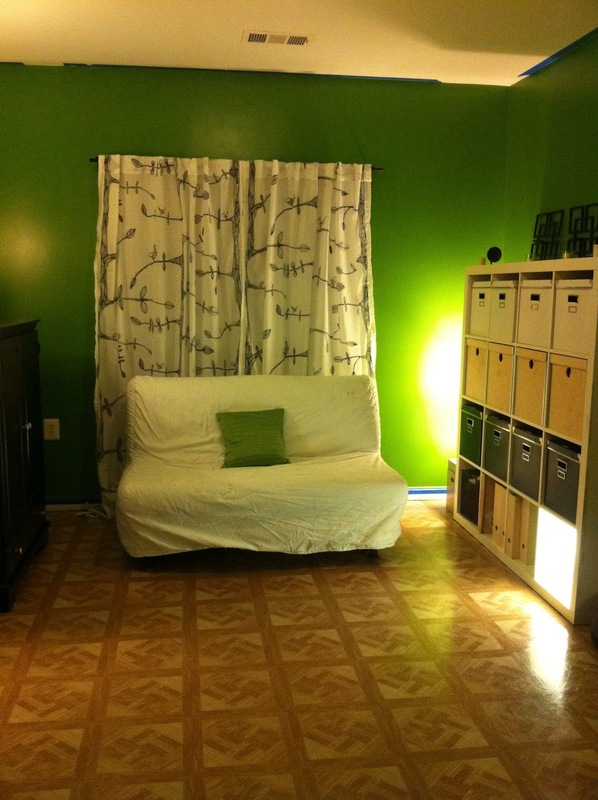 I finished the change over from our old office into a full-on guest room. Ignore the blue tape still on the ceiling in this picture. I really need to put "take pics of new stuff around apartment" on my to do list, because I keep forgetting to do this! We are really happy with the room makeover. 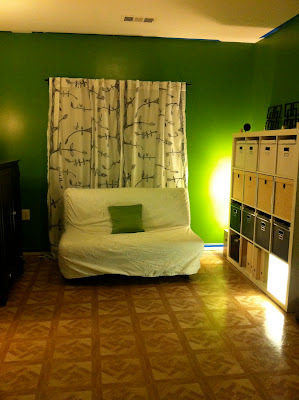 There is SO MUCH more space and less clutter in there now, and I actually like being in there now! After taking a few months off because of traveling so much for work, I am now fully back on the couponing train. I'm trying Coupon Mom's strategy this go-around, which means you don't clip the coupons right away, you save the entire insert. 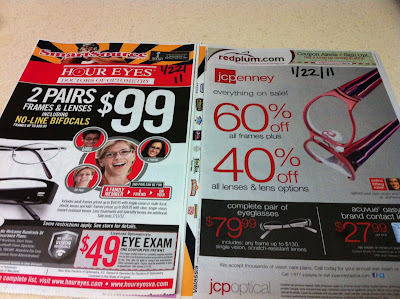 Still feels weird to me, because I kind of like knowing exactly which coupons I have, and I kind of felt like clipping and then organizing them into my coupon wallet kind of drilled into my brain what I had. But this method allegedly saves a lot of time. So, I'm trying it. I made another new friend! I met for dinner at the Front Page recently with Karen. Karen's husband Jim is also a quadriplegic, and we seem to have lots and lots in common. They don't live too far away from us, so Michael and I are looking forward to connecting with them again, soon. 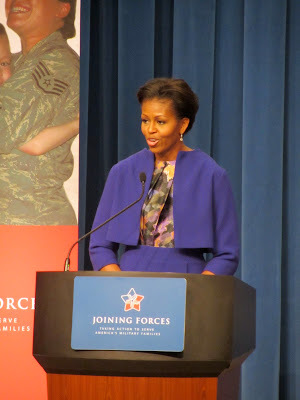 I covered an event with the First Lady in DC. She was announcing proposed changes to the FMLA to help military family members and caregivers. 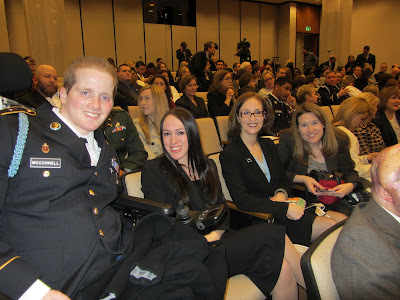 That is one of my favorite Wounded Warriors, Derek McConnell, his fiance, Krystina, his mom Siobhan, and Jessica Allen. I admire all four of these people so much!